Netflix has cancelled all of their existing Marvel TV shows but Hulu is holding onto their Marvel’s Runaways series. It’s been renewed for a third season of 10 episodes. The second season had 13 installments but the first season also had 10 episodes. A superhero drama, Marvel’s Runaways stars Rhenzy Feliz, Lyrica Okano, Virginia Gardner, Ariela Barer, Gregg Sulkin, Allegra Acosta, Annie Wersching, Ryan Sands, Angel Parker, Ever Carradine, James Marsters, Kevin Weisman, Brigid Brannagh, James Yaegashi, Brittany Ishibashi, Kip Pardue, and Julian McMahon. The series centers on six Los Angeles teens who reunite, after a catastrophe, only to discover their parents are hiding a dark secret. In the second season, which was released in December 2018, the kids have to learn to live on their own and use their powers to combat PRIDE. 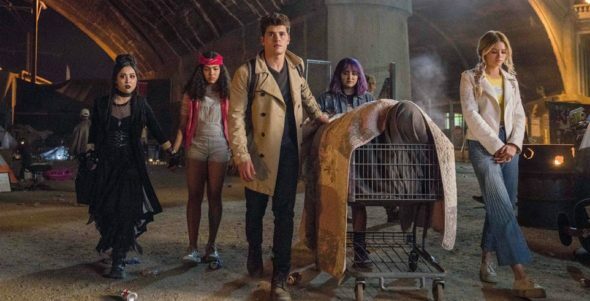 Marvel’s Runaways is executive produced by series showrunners/writers Josh Schwartz and Stephanie Savage (The OC and Gossip Girl) along with Marvel’s Head of Television, Jeph Loeb (Marvel’s Jessica Jones, Marvel’s Cloak & Dagger) and Quinton Peeples. Fake Empire’s Lis Rowinski produces as well. The show is a co-production with ABC Signature Studios. What do you think? Do you like the Marvel’s Runaways TV show? Will you be watching season three fo this Hulu series? This last season was everything, they would be crazy not to have season 3. I can hardly wait for season 3 of Marvels Runaways! Absolutely will be watching! Runaways and Gifted are the best Marvel TV series hands down!